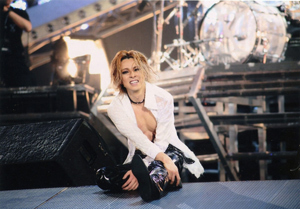 Drummer, pianist and X JAPAN band leader, Yoshiki, will undergo neck surgery on Monday, July 27, 2009 at the Cedars-Sinai Medical Center, Beverly Hills, CA. Dr. Neel Anand, Director of the Cedars-Sinai Spine Center, will perform a cervical foraminotomy. Yoshiki’s primary physician at the Cedars-Sinai Medical Center, Dr. Tommy H. Tomizawa (UCLA Assistant Professor), states that he will need a few weeks to recover from the surgery and a month or more of rehabilitation. If his condition does not improve over the next several months, laminectomy, discectomy and spinal fusion would be considered. Artificial disc placement would be another treatment of choice.